Seeing the feeder canal is easy. Just keep in mind that it's 40 km long and requires some driving. If you're not up for the drive the following photo tour will identify some of the landmarks for you. 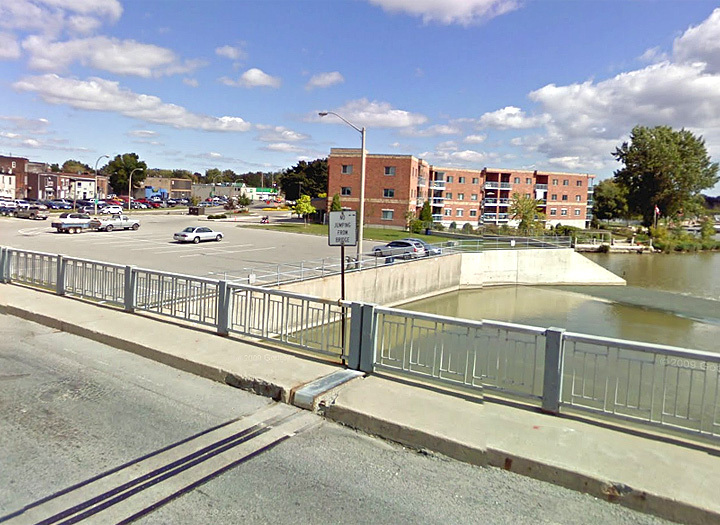 Junction Lock: Starting in Welland you might be surprised to discover that the lock built to connect the Feeder Canal to the Second Welland Canal still exists as a historical landmark. It's mostly buried, but does show the exact location where the feeder canal once ended. Several displays in the area also provide information about the Junction Locks history and purpose. 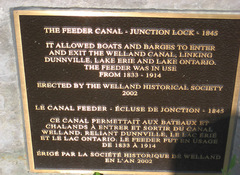 Junction Lock Plaque: I always love taking pictures of the plaques at historical sites. They're usually a definitive source of information although a touch of skepticism is sometimes needed as well. This one looks pretty good. According to the plaque, boats used the canal from 1833 to 1914 with the junction lock being built 1845. Junction Lock Display: A display located in the middle of the lock reports additional information. 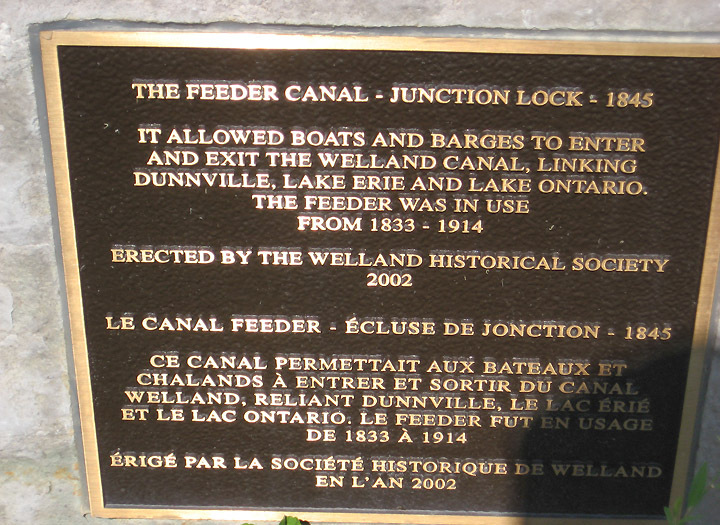 The feeder functioned as a barge canal after the First Welland Canal was extended here in 1833. It functioned as a shipping route after a stone lock was added in Port Maitland sometime between 1845 - 1850. It was made obsolete with the completion of the Third Welland Canal in 1888 and used only as a barge canal until WWI (1914). 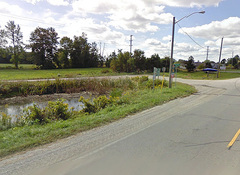 Start of the Feeder Canal:: The channel near the Junction Lock is filled in but across the street, Feeder Rd. continues along it's route. If you travel up the road 200 meters you can see the the channel starting to develop on the right side of the road. The Feeder Canal can be seen in the forest just ahead but keep in mind if you want to see the canal there are endless other opportunities along it's route. West of Wainfleet: Wainfleet developed as a small town called "Marshville" on the banks of the Feeder Canal. Just west of town, the canal has been restored for several miles so it is possible to see what the Feeder Canal looked like in its glory days. Its easy to imagine small ships and barges using it today. 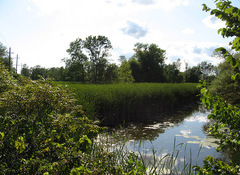 Stromness: Like Wainfleet, Stromness developed as a small village along the canal, this time where the canal changed direction north toward dunville and where the canal continued west toward Lake Erie at Port Maitland. Its difficult to see but all three channels still meet forming a small triangular basin at this point. 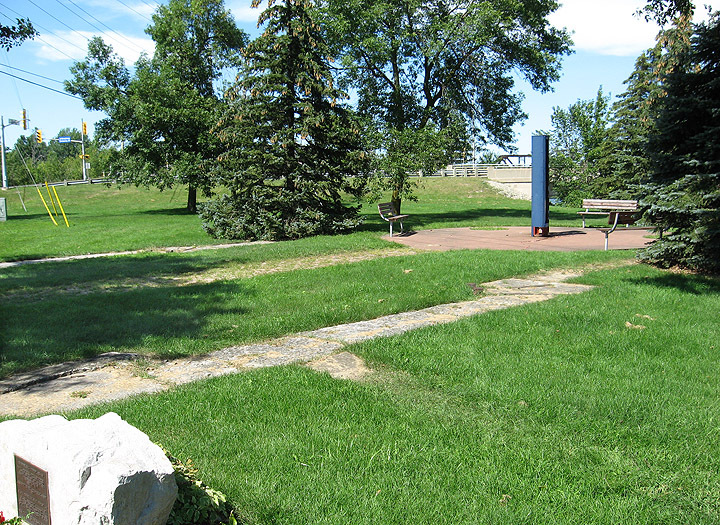 It has been suggested as a great place for a small historic park of some type. Port Maitland Lock: Several years ago a group of local residents decided to clean up and restore the Port Maitland Lock to its original condition. The results were remarkable although its difficult to escape the remoteness of this location. Keep in mind that visiting the site is showing appreciation for their efforts. 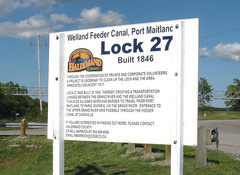 Port Maitland Lock Signage: A sign and display are available nearby to provide information. The lock itself was built in 1846. 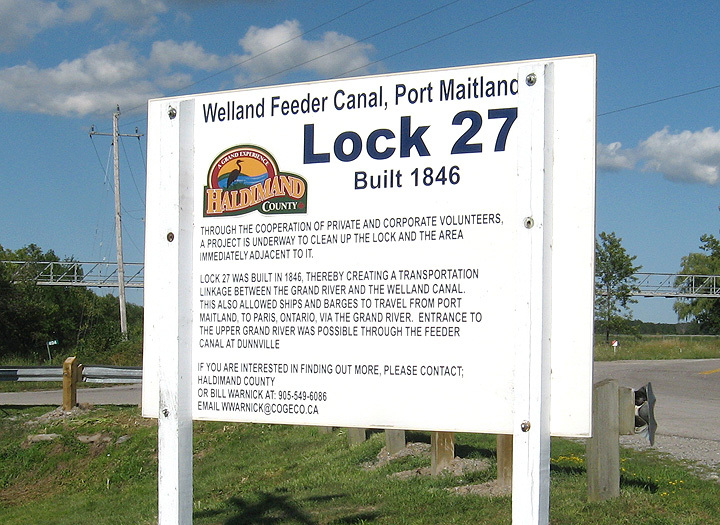 Disregard the name "Lock 27" - while once used, recent research has shown that the lock was called the "Port Maitland Lock". 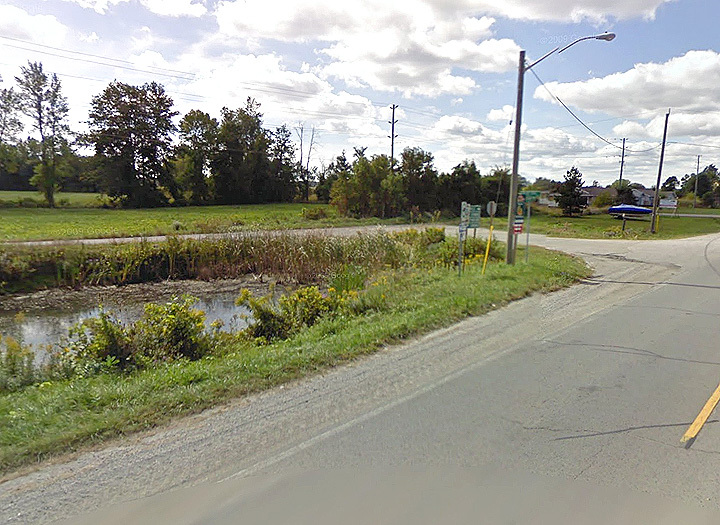 Toward Dunville: If you continue back to Stromness you can now head north to Dunville along North Shore Dr. 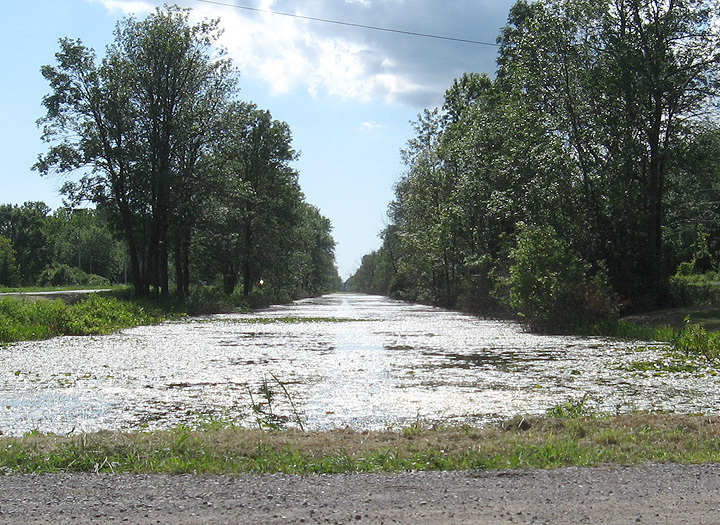 The hwy actually crosses the feeder canal four times so be prepared to see the canal on either side of the road. 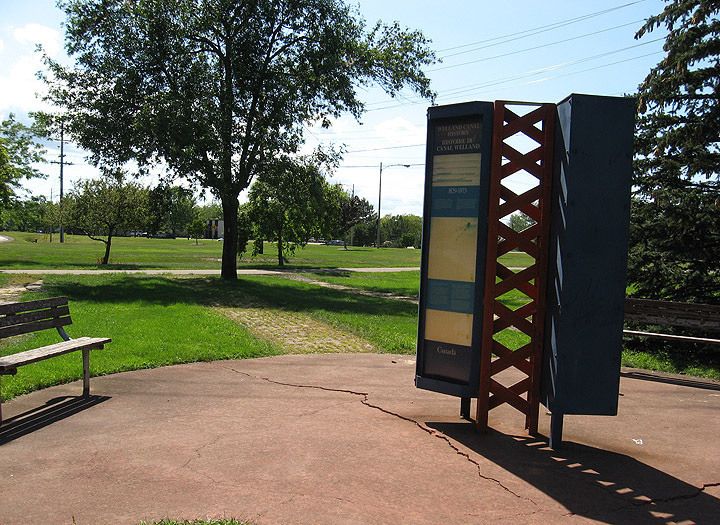 About 1.5 km from the end of the historic Feeder Canal, you'll come to the end of the channel on your left side. 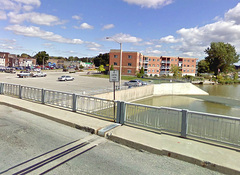 The rest is filled in, but you can continue to downtown dunville where the river was dammed and the canal started. Dunville: Dunville's a nice to visit and has a slight touristy feel similiar to Port Dalhousie or Port Colborne. 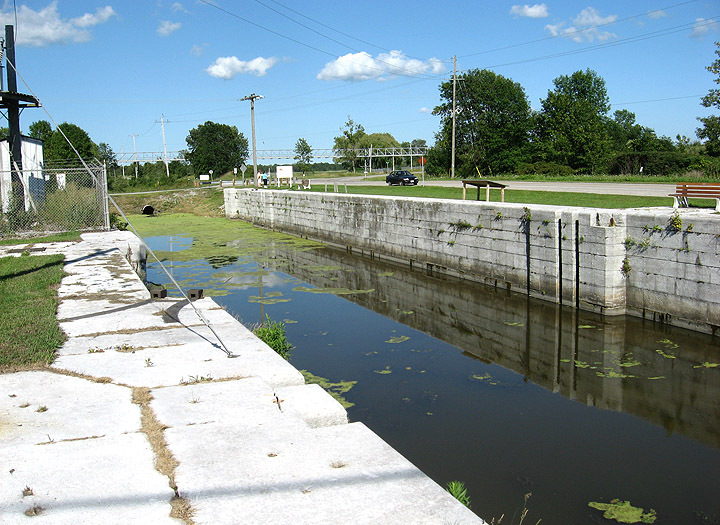 Concerning the canal, a dam still crosses the river creating an upper and lower section in the river. The canal with it's associated lock, raceways and mills have been cleaned up at this point. 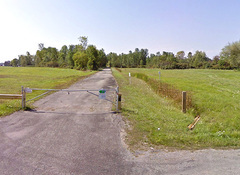 Their approximate location pictured on the right were just east of the dam on the north shore of the river.